North America experienced three waves of Hungarian, Magyars as they call themselves, migrations. Consisting of educated classes, the first was during the mid-1850s with approximately 3,000 migrating. Consisting mostly of the poor and uneducated classes, the second wave saw 650,000-700,000 ethnic Hungarians. The third wave, precipitated by the Soviet Union taking power, led to over 40,000 Hungarians fleeing to North America. 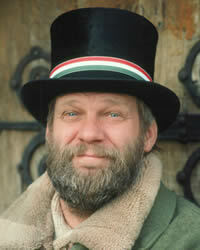 As a result, Hungarians with ancestral background are numerous in North America who have assimilated into the mainline culture. However, there is a sizeable number who speak Hungarian as their first language, being their primary means of communicating with one another. Though varying upon one's background and origin, Hungarian culture values formality. When writing their names or introducing themselves, their last name comes first. It’s simply the formal way of introducing one's self or presenting a name publicly. A handshake is a normal greeting, but gentlemen must always wait for a lady to offer her hand first. Eye contact is important, particularly in business dealings – engendering trust. It is still not unusual to see the older generation bowing as a greeting. Punctuality is of immense importance. When dining out it is usual for a number of dishes to be served. It is normal to try them all, and never start eating before the host; this is considered greedy and ill mannered. North America Hungarians observe major folk festivals and "Hungarian Days". One can observe them in metro areas such as New Brunswick, New Jersey; Pittsburgh; and Cleveland. The majority of Hungarians are Roman Catholic, with minorities being among Calvinist (Reformed) and Lutheran, while a small percentage claiming no religious affiliation. Pray revival occurs among evangelical Hungarians to go and share via words and deeds the message of Christ. Pray for evangelical Christians to come alongside Hungarian evangelicals to share the message of Christ and plant churches. Pray for God to cause Hungarians to become open and receptive to the Gospel message.